Unleash your car’s full potential with Air Lift Performance by upgrading from 3P to 3H! 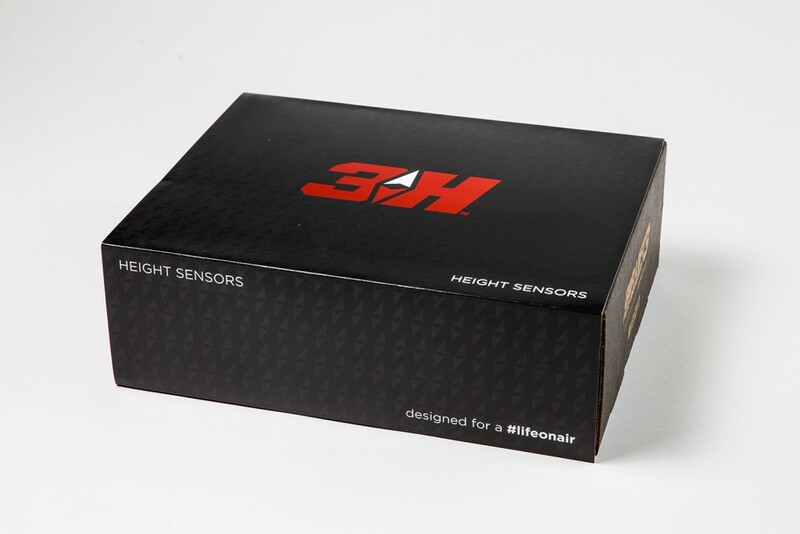 We’ve taken air management technology to the next level with the introduction of the 3H (height + pressure) and 3P (pressure sensing only) air management systems. These powerful and reliable height and pressure systems are the most advanced products ever to be created by Air Lift Performance, and are the results of 3 years’ worth of development and testing. What is Air Lift Performance 3P? 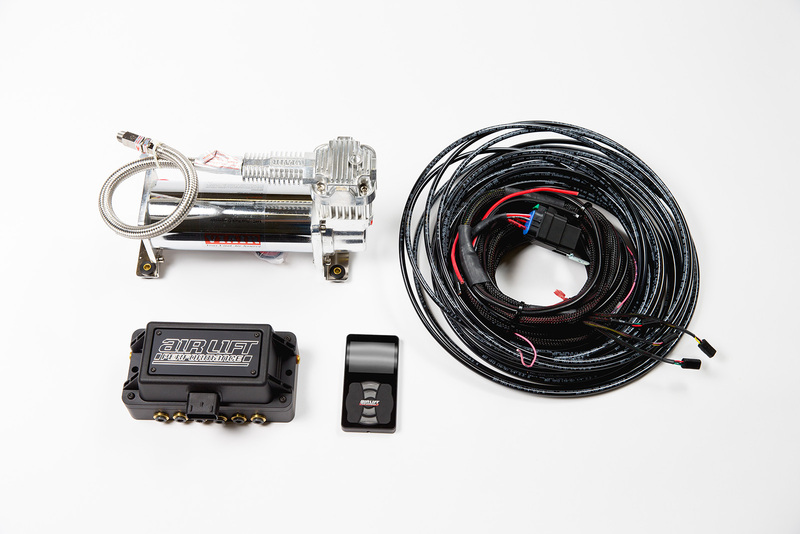 Air Lift Performance 3P is the basis of both management systems, including the manifold, controller, and necessary wiring. the system is available with or without tank and compressor. The 3P manifold uses pressure-based sensing technology to provide quick and precise ride adjustment, all achieved through a full-color controller, which displays individual air spring pressures for each corner and controls any pressure adjustment. State of the art 32-bit processors control the pressure algorithms to provide for a smooth and comfortable ride. The system’s built-in Bluetooth function also allows air pressure to be controlled via the free Air Lift Performance 3 app, available for compatible iOS and Android smartphones, without any added hardware. What is Air Lift Performance 3H? 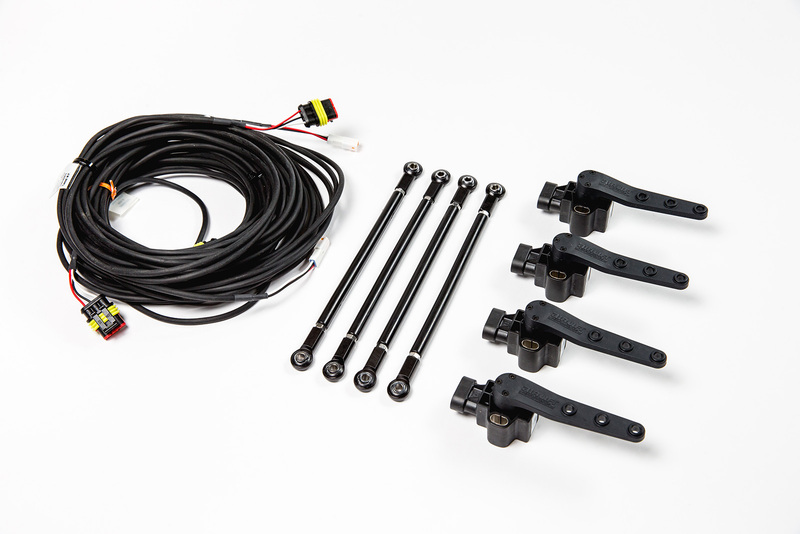 Air Lift Performance 3H uses the same base hardware as 3P, but with the addition of height-sensing technology. This is achieved by installing height sensors that mount to each corner of the car, which, in-turn, provide an accurate reading of the actual height of each corner. The main advantage with 3H is that the system can factor in both the actual height of each corner, as well as the pressures of each air spring in order to make more precise adjustments. This ensures that whatever ride height you set is constantly monitored and adjusted at the right time, without radical differences in pressure. Five customizable pre-sets allow for the system to quickly adjust and maintain the desired height and/or pressure with the push of a button. Can I upgrade from 3P to 3H? Yes! 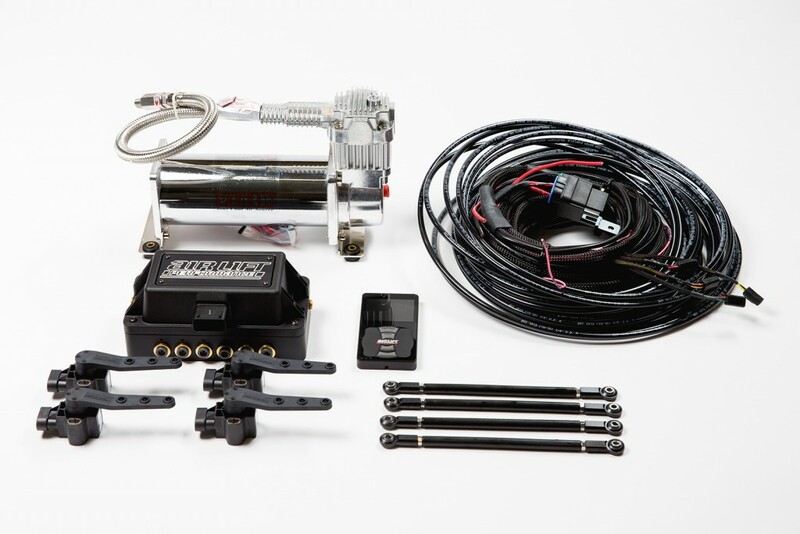 Air Lift Performance’s 3P air management systems can be easily upgraded on any vehicle to 3H at any time, or the entire 3H system can be purchased from the start. All of the core hardware remains the same, the only additional parts added with the 3H height upgrade kit are four height sensors and installation hardware. This means that you can also buy a complete 3H system, and run it in pressure mode until you are able to install the height sensors. For users currently running the Air Lift Performance V2 system and are looking to upgrade, this is also easily achieved. Struts, airlines, compressor and tank can all be re-used with the new 3P upgrade and subsequent 3H upgrade.